10 Best Undergraduate Theatre Programs in the U.S In 2019. 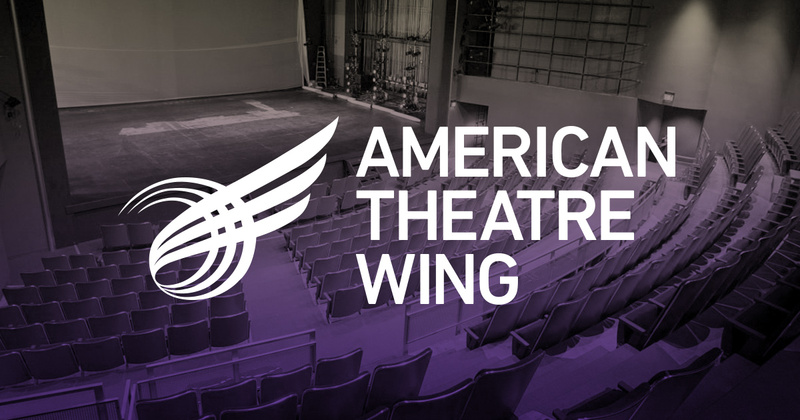 If you are searching for “Best Undergraduate Theatre Programs in the U.S In 2019” this page is all you need. Explore. Each year, we take a deep look at the many theatre programs across the country. With thousands of prospective students and families researching what makes one program better than another, we sense it’s mainly to provide as many resources as possible. In this article, we are going to focus on the 10 best undergraduate theatre programs in the U.S in 2019 from the lowest to the highest. Taking a look at the top undergraduate theatre, we considered a lot of different aspects. But one thing we were looking for more than previous years is how these programs are correctly preparing their students to tackle the different acting platforms available today. At CMU, students have the opportunity to study abroad at an international conservatory program in the first semester of their senior year. School of Drama students has studied in programs such as NIDA in Sydney, the Moscow Art Theatre, London’s Drama Centre and other approved schools in France, South Africa, China, and South Korea. For a truly unique experience in performing arts training, students should definitely look to the south at SCAD, the Savannah College of Art & Design. The program is the perfect blend for students looking for training for the stage and screen. In addition to a full theatrical season, students will have plenty of opportunities to act in the front of the camera. In fact, the school was award an Emmy for one of its sitcoms last year. There isn’t a better option in the college mecca of Boston for aspiring actors than the program at Boston University. Their program features immersive studio classes in voice, speech, movement, and Alexander Technique provides the foundation for the Acting major and encourages students to develop a profound connection to them. Students are exposed to a wide range of acting and movement techniques and are encouraged to embrace the unknown and to be open to new and varied approaches to the creative process. Also features guaranteed casting in the School of Theatre’s 35+ Productions each season, twice a semester beginning in the sophomore year. These rehearsal and performance opportunities provide students the opportunity to apply the dynamic work of their classes in practice. After their first year, students may try out for various production opportunities; including department main stage productions, Syracuse Stage co-productions, numerous student- and faculty-sponsored productions, and Syracuse Stage productions in appropriate roles. Students may earn Equity points through work with Syracuse Stage. Facilities include The Syracuse Stage and Drama Theater Complex, also known as the Regent Theater Complex, which houses the Department of Drama and Syracuse Stage. Courses include The Industry for the BFA Actor. This course prepares students for the business side of the entertainment industry and what it takes to be a working actor in New York. Students learn how to prepare for auditions as well as general meetings with agents and casting directors and how to effectively market themselves. This college has incredible facilities, such as the Jerry Herman Ring Theatre, students will have a wonderful opportunity to meet with gain knowledge from an impressive roster of guest artists. What makes NYU Tisch’s program special is the amount of opportunities students will have. Upon acceptance into the Department, students are placed into one of eight different primary studios where they begin intensive conservatory training towards a strong foundation in technique. Students remain in their primary studios for two full years (four consecutive semesters). Once primary training is completed, students have many options for advanced training. It is important to understand that you are applying to Tisch Drama and not to a particular studio. A traditional acting powerhouse that is always changing for the better, The Theatre School’s BFA degree in acting prepares actors to work on both stage and screen. It develops actors who are imaginative, skillful, expressive and vibrantly alive. It is rooted in the Chicago tradition, emphasizing physicality, and truth in action, communication, collaboration, and spontaneity. The first year introduces the actor to a broad range of techniques and experiences, defines a way of working and provides a set of skills. There is plenty to be excited about what USC has done with their School of Dramatic Arts. The BFA in Acting for Stage, Screen and New Media connect the foundation of classical theatre with innovative training for the contemporary performing artist, including on-camera techniques, voice over, motion capture, the digital landscape for actors and much more. While the school is highly selective, their training model for actors is unrivaled in today’s academic world. Students’ first year is known as the Discovery Year; a year to discover their blocks and possibilities. In every discipline voice, movement, improvisation, scene study students begin to acquire tools and practice techniques that can strengthen and deepen the instincts they already have an open up new practices of awareness, expression, and imagination. The Drama Division typically accepts 18 students per year comprised of 8-10 undergraduates and 8-10 graduates who will work through the four-year acting curriculum together as a group. In conclusion, these are the list of the top 10 best undergraduate theatre programs in the U.S in 2019.